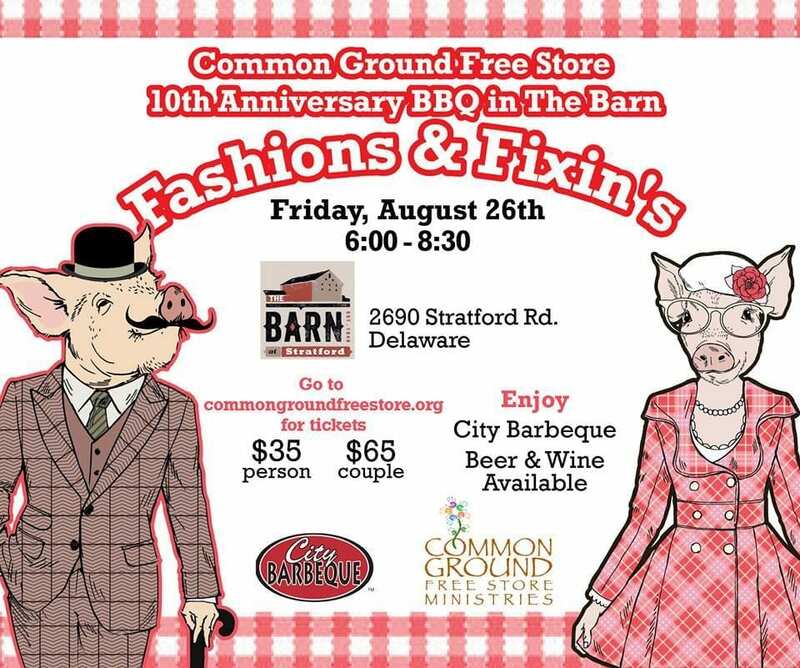 The Barn at Stratford is honored to host Common Ground of Delaware’s 10th Anniversary Celebration on August 26, 2016. Sharon Greiner, ex. 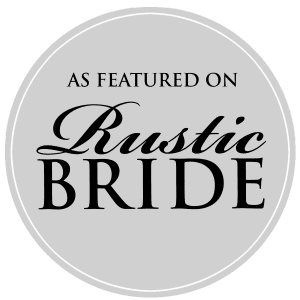 Director brought to The Barn a wonderful event titled “Fashions and Fixin’s” that combined a Fashion Show, a Barbecue Dinner, and a fundraising Silent Auction. 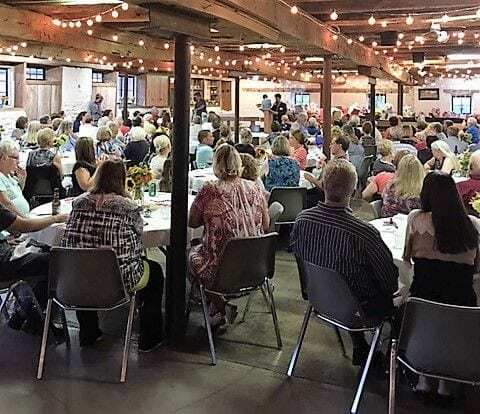 The 150 guests were served in true barn fashion to a meal of City BBQ’s noted barbecue meats and poultry along with country fixin’s of corn pudding and slaw. Dessert was an huge 10th Anniversary Cake. 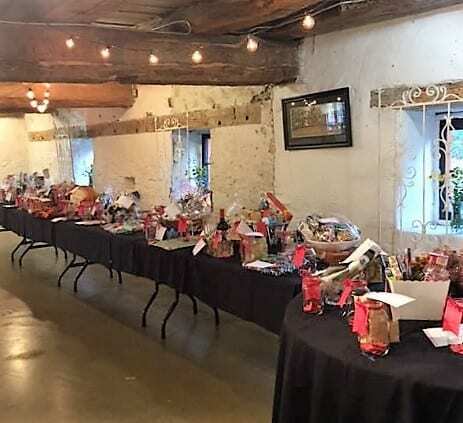 The evening was capped with the completion of a silent auction. Throughout the evening guests had been bidding on the tables of beautifully packages baskets filled with attractive offerings. The guests cheered each winning bidder as they were announced. Is a place where people who are at the end of their rope can find a hand to help them up. Their motto is “An Uncommon Place Filling Common Needs”. It’s a place where everything is free—clothing, shoes, diapers and linens, to small appliances, books and toys. There are no income requirements, no questions and no scrutiny; only the support of people who care. Common Ground Free Store Ministries is a partnership between Delaware County churches, business, civic organizations and caring citizens.